Digital piracy is the illegal distribution of copyrighted materials. What Counts as Digital Piracy? As stated before, digital piracy is the illegal distribution of copyrighted material. This can mean anything from illegally downloading a song, movie, e-book, or software. If you share a song, movie, e-book, or software, you are also considered a digital pirate. There are many ways digital pirates get their media. In earlier times, people who transferred files from their home to work computers would count as a digital pirate. Nowadays, there are many other ways to get this media, most popularly through websites full of pirated material. In 1999-2001, the Recording Industry Association of America (RIAA) attacked Napster, a popular file-sharing website in which users could access pirated material by way of Napster's central computer. Their case won and Napster was closed down, but following the shut down of Napster, Peer to Peer (P2P) networks sprang up everywhere where users voluntarily shared their files. Nowadays, P2P networks are the way that many digital pirates access their files. How many digital pirates are there and can we stop them? Digital piracy has become a mainstream source of downloads. According to CNN, about 90% of all music downloads are downloaded illegally. This not only means that it will be hard, if not impossible, to stop digital piracy, but also that there would be a considerable amount of unhappiness and argument, as shown as what happened in the case of SOPA and PIPA in 2012. 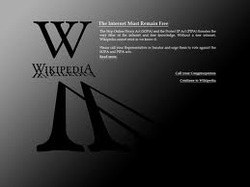 Another example of this was the popular file-sharing site called PirateBay. In 2009, PirateBay was shut down and its founders sentenced to a year in jail and forced to pay a fine. However, when it got shut down, it wrapped down a code to its entire site and allowed it to be downloaded. This spawned hundreds of other websites exactly like it. The sheer number of digital pirates and the widespread nature of digital piracy leads many to think that digital piracy will probably never be completely stopped. Also, many people argue that digital piracy is not one of the worst crimes, and shouldn't have a punishment that severe when compared to other crimes that could be committed over the internet. This is especially true for famous artists or movies, which is when people think that enough people would legally download their songs that one illegal download wouldn't make a big impact on the artist. Many countries have taken steps against digital piracy, although not all of them have been highly supported. Already, people can get copyrights which give them exclusive rights to their work, but the main problem of digital piracy is that people disobey these copyrights. There are already harsh laws against copyright infringers. For example, in 2009, Jammie Thomas-Rasset was fined 1.5 million dollars for illegally downloading and sharing 24 songs. Although this fine was eventually reduced to 54,000 dollars, it is still a large fine to pay. Copyright owners now get money commercially from online webstores like iTunes or "video-on-demand" services like Netflix, although it is likely that digital piracy will never be completely removed.